One of my all-time favourite singers has recently been to the UK on a tour that boasted 13 shows in just over a fortnight. Together with his band, the Roadhouse Rockers, Gary U S Bonds’ 2004 UK tour zig-zagged its way through England and included a stop at the legndary Cavern Club in Liverpool, before this particular band on the run headed for Wales and returned to the US in early October. Gary U S Bonds has been a successful recording artist ever since you could get three of his “Top Rank” label 45s for £1… £1note that is! And yes, it’s hard to believe that New Orleans was topping the charts on both sides of the Atlantic several years before man had set foot on the moon but that’s just the way things happened. Fast-forward to the present high-speed world of digital technology we all live in, and Gary U S Bonds’ latest CD, Back In 20. Not only does the CD stand testament to Gary’s staying power but it also demonstrates his ability to deliver now precisely what he delivered back before decimalisation took place in the UK. The album also features some noteworthy guests including: Bruce Springsteen, Southside Johnny, Phoebe Snow and Dickey Betts. In my (sometimes-not-so-humble) opinion, that wonderful raw-edged, soulful vocal prowess that has long since been Gary U S Bonds’ trademark in the performing world is unparalleled, and I’m happy to say I still get the shivers whenever I hear Gary sing. As for the new album… yes, to my ears at any rate, it has a kinda retro feel about it in places like Fannie Mae or Take Me Back but then I guess I would have been disappointed if I hadn’t heard some of that kind of genre coming across. After all, we are talking about an artist whose musical career is now in its fifth decade. A personal aside about Gary U S Bonds goes back to the days when I worked in an International Bank in Glasgow. So yeah, we used to have to process like a million American cheques a day and that included U S Government Issue Savings Bonds. The feature that made them different from everything else was the fact that they were printed on what was presumably U S Government standard issue green card and they had to be dealt with manually because they were incompatible with the machinery we were using… funny how things like that stick in your mind! There is however a point for mentioning this story because, if you check out the King Biscuit live recording of Gary U S Bonds’ show at the Stone Pony in Asbury Park from November 25th, 2000 – which I was at as it happens – you’ll see that one of the aforementioned U S Bonds has been adapted for the CD artwork. So yes, it would appear that I became an inadvertent victim of some very astute subliminal marketing! So, what was this tour all about one might wonder? Well, hopefully the following responses to some questions I recently sent Gary’s way will provide a little bit of an insight into what has been keeping him busy since his last visit to the UK. The last time I saw you perform in the UK, it was a mid-November night, in a tiny theatre in Malvern and you were part of an American 60’s Road Show together with people like Lou Christy, Martha Reeves as well as headliners, The Mamas and The Papas. Of the three songs you performed, the one that stands out in my mind is: Quarter To Three… and here we are, almost 18 years later and it’s still a really great song. So, where have you been hiding all this time? Gary: Not hiding, just guess that you and I have been on a different tour. Speaking as someone who has been following your career from the early 80s, albeit from a discreet and sizeable distance, it seems to me that although there have been notable Gary U S Bonds peaks in terms of record releases over the last 4 decades, there have also been gaps. Is this something you planned in order to spend more time doing other things, like being with your family for example or, writing new material? Gary: Since this is what I do, I have never planned gaps, just seems that my popularity goes in cycles. Unfortunately the cycles haven’t been short enough for us. 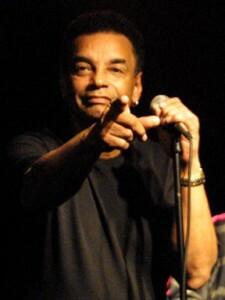 In between though, I play wherever I am called to: privates dates, fairs, festivals, casinos, etc. Some are more exciting than others, but I always have a good time. At this stage of your life and career, what drove you to embark on this UK tour? Is it purely to promote the release of Back In 20, or do you hope to achieve something more from this trip? Gary: Mostly this is to promote the new CD. Since we don’t have an official label arrangement in most of the Euro countries and the UK, this seemed like a good way to reintroduce myself again! Hopefully we’ll be noticed again and look forward to finally building consistently there. 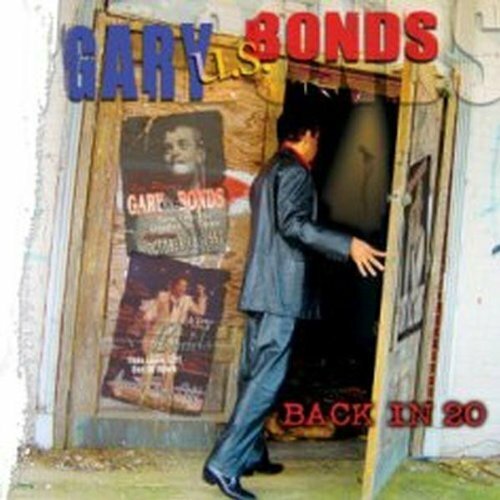 Back In 20 features some notable guests including Bruce Springsteen and Southside Johnny… would you like to tell me a little bit about the album? Gary: Since this started out as an album that would have a blues direction you can see where some of the songs came from. A few of my favorite old blues songs and a couple newer ones. Once I got into it I realized my music, roadhouse music and good solid rock and roll all fit pretty nicely together so the book opened up and we went for it. Bruce seemed like a natural for Old Dog and thankfully he agreed to participate; Southside also seemed like a natural for the songs he did and he was kind enough to come to my home studio and stay until we agreed on everything he did. Phoebe Snow’s name came up, I called, she agreed and everyone was happy and I had met Dickey on the golf course a few years ago and we all thought he would add an interesting element, which he did. I believe you were part of a recent Music Festival in Belgium. How did that come about and are we likely to see you at other European music festivals in the future? Gary: They called since they had heard about the CD and had seen some video of one of my Stone Pony gigs. They were enthusiastic and as I said, we go wherever we’re called to. It was a great time over ten thousand people and we joined a cool list of performers including Bonnie Raitt and Ray Davies. We would all like to do more of those festivals. The crowd sure seemed to have fun. Tell me about the guys in your band… and did you have a hard time persuading them to join you for this series of UK dates? Gary: The guys in the band have all been completely on board since we started this project. They played the songs and have given above and beyond the call of duty, especially when we need them to do promotional appearances. I am hoping that they all get recognized for their fantastic work and we all get rich together, ha! Career-wise, what’s the next thing on your “to do” list? Gary: More of the same. Just waiting for the rest of the world to get on board. So there you have it… if “more of the same” is on Gary U S Bonds’ agenda for the future, I’m already looking forward to being there!